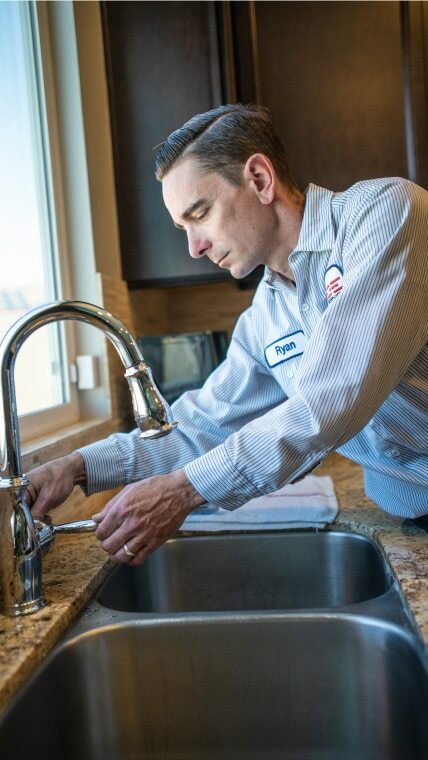 If things aren’t quite right with your kitchen plumbing in the Inland Empire area, Pride Plumbing can help identify the issue and make it a relaxing place to cook and eat again in no time. Which part of your kitchen are you having trouble with? Here is what our professional plumbers are thoroughly trained to assist you with. Garbage disposals are a very nice convenience, but they do break frequently. If something does jam the garbage disposal, like silverware, always unplug or shut off the power to the disposal before attempting to remove it. Use pliers or tongs instead of risking hurting your hand. Pride is here to do the jobs you don’t want to do! 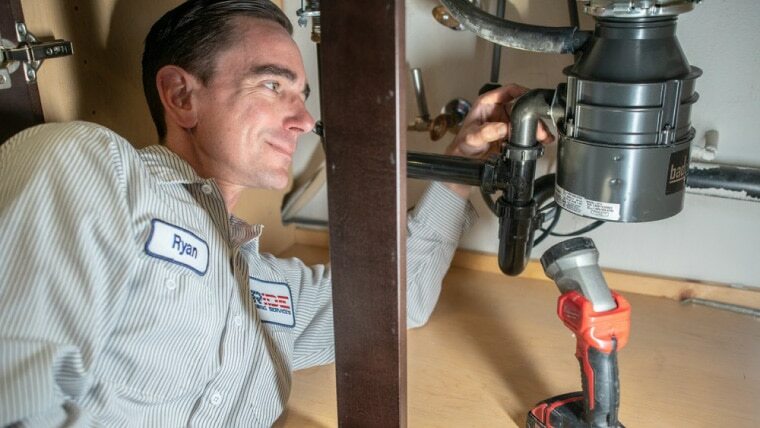 If you have experienced frequent sink clogs or finding yourself resetting your disposal frequently, you may simply need to replace it rather than having a repair. The blades dull over time, and if they aren’t doing their job, you will encounter drain problems. For those with an older garbage disposal or without one, drain clogs are common. It’s usually a simple fix if the clog is near the sink. If you suspect it is lower down in your plumbing, check out our page on drain cleaning to learn more about that situation. If you are thinking about making the switch to hand washing to using a dishwasher, or have decided, we can help you on that journey! When we come to fix your drain or garbage disposal or install a dishwasher, your household’s well-being is the primary concern on our mind. call us at (909) 372-1239.